I have been thinking of ways to share my local explorations and experiences here in the beautiful state of Washington as part of this blog. I am fortunate to live in such a place blessed with natural beauty and a unique cultural vibe. It would be silly of me not to feature all the things that I love about living here, and hopefully you will be convinced to come visit! 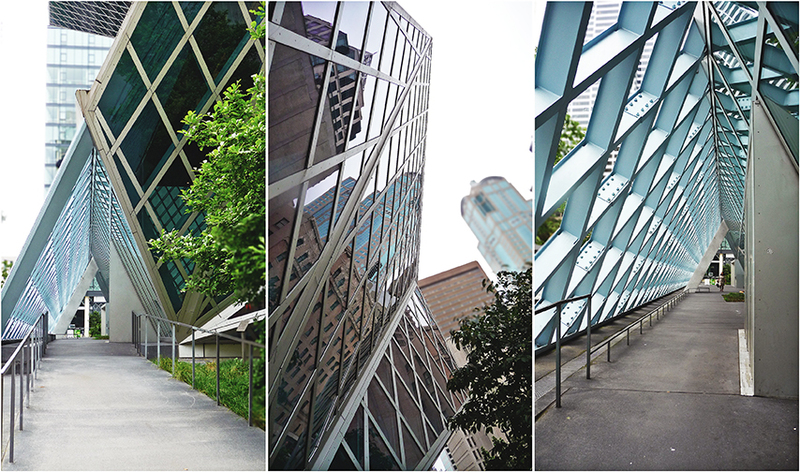 🙂 So my first post is about the Seattle Public Library’s Central Library. This is inspired by a correspondence with the beautiful soul, Hanny @beradadisini, about books, bookshops, and libraries. The unusual design of this building peaks people’s attention upon first sighting. 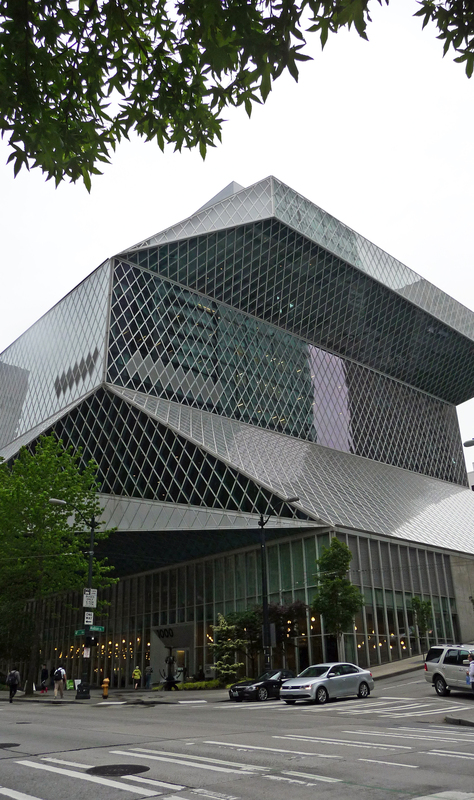 Designed by Rem Koolhaas and Joshua Prince-Ramus of OMA/LMN, it looks more like a modern art museum than a public library. On my way there, I happened to be walking by two couples and overheard one of the ladies talking about how she and her husband were in Seattle to catch their cruise ship to Alaska, and they chanced upon the library. The woman went about how “unusual the design is” and how it is impressive as a functioning library. I was tempted to interject, but I kept moving along. I entered via the Fifth Avenue entrance, and every time I step in there, I am reminded by how big this building is — a work of art, housing thousands of books available for the masses to borrow and read. Upon entering the building, I find myself on Level 3 and the area that is referred to as the Living Room. Book shelves are artfully arranged with plenty of comfortable seating to settle in for minutes or hours of reading. The space is also perfect for meeting up with friends and have a cup of coffee or hot chocolate from the Chocolati coffee cart. 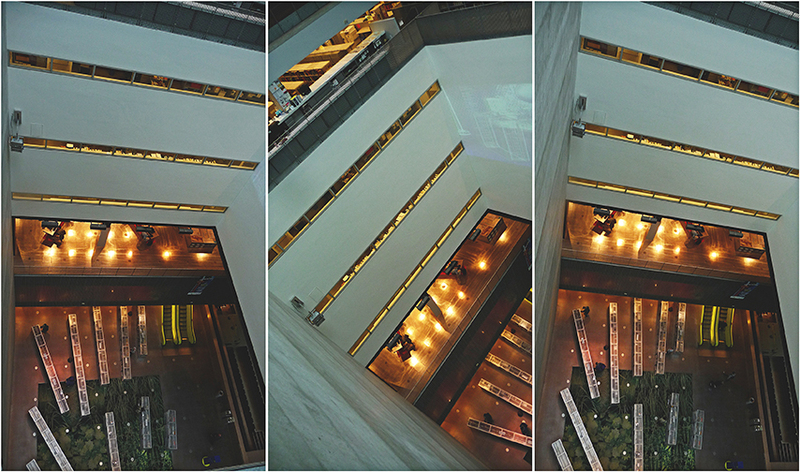 One floor up is one of my favorite parts of the library; it is the level with all the meeting rooms. 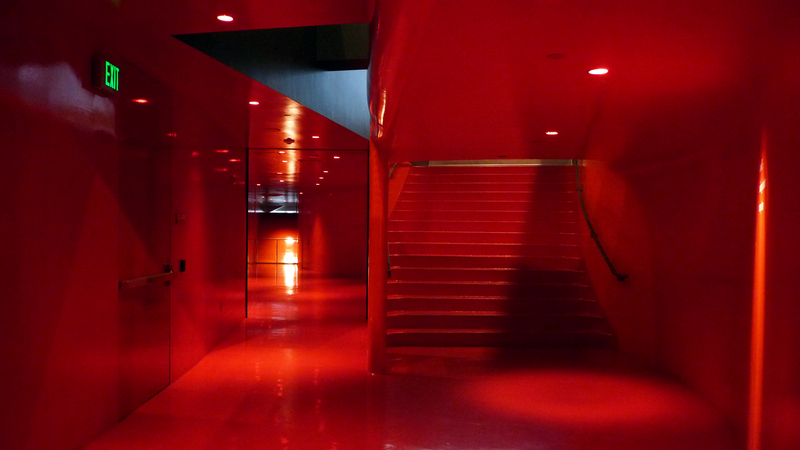 Everything is red — the walls, the stairs, the doors. Red is not my favorite color, but it always makes me feel like I’m in one of the Queen of Hearts’ chambers. En Rouge: Meeting rooms can hold 25 to 200 people. From the hall of eternal redness, I rode the elevator up all the way to the 10th floor, where the Reading Room is located. One can read their heart’s content up there and also enjoy views of Elliot Bay. 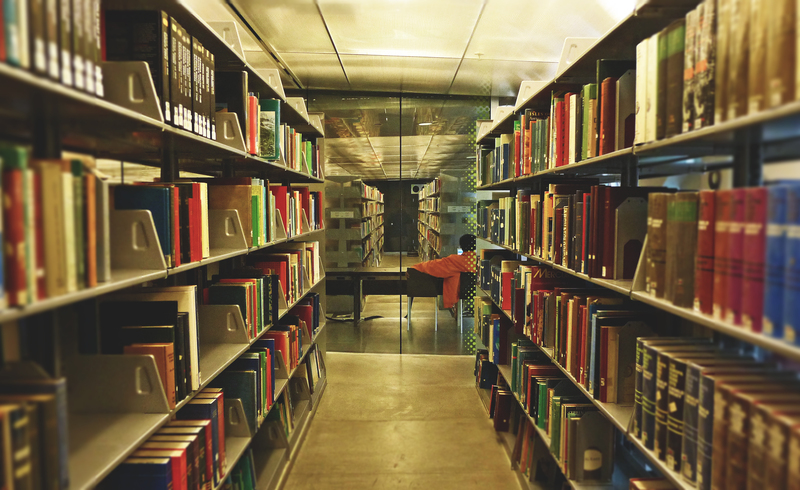 There is a lookout, which provides a great vantage point for viewing the interior of the library. Personally, looking down from way up there tests my sensitivity to heights. It gives me the heebie-jeebies. 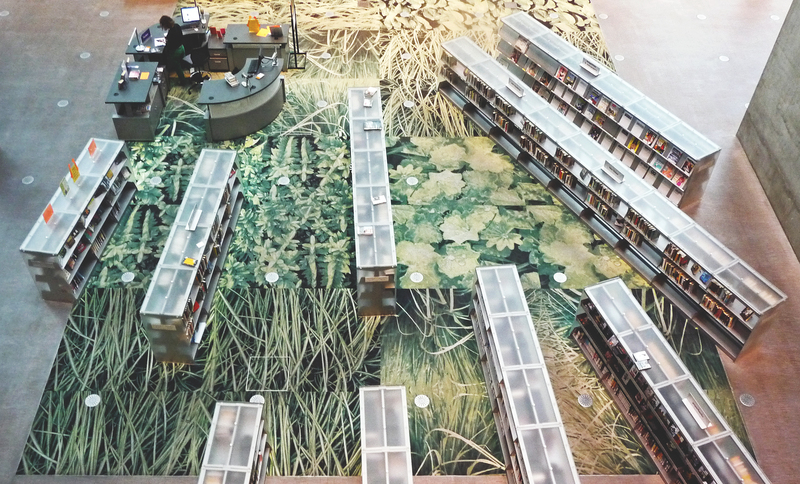 From the Lookout: a view of the Books Spiral down to the Living Room. Instead of taking the elevator, I took the alternative route down. No, it’s not the stairs either. I traversed through the Book Spirals, which is interestingly designed so that the nonfiction collection is arranged in a way without breaking up the Dewey Decimal system classification on different floors or sections. I find this to be a brilliant idea because it allows users to browse the entire collection without having to use the stairs or needing to venture to a different part of the building. The spiral spans up to four floors, and elevators are still accessible on each floor. As I continued on my descent, I frequently took breaks in between shelves to peruse the books that happen to catch my attention, and I spent more time in areas where certain subjects and publications are stored that are more in line with my interests. 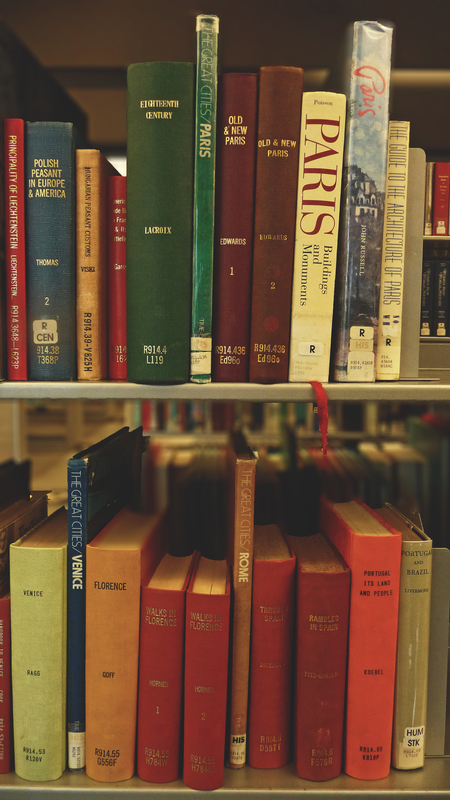 A quiet stroll among shelves of books and racks of journals and magazines can be therapeutic. Travel: A subject matter that I naturally gravitate towards. 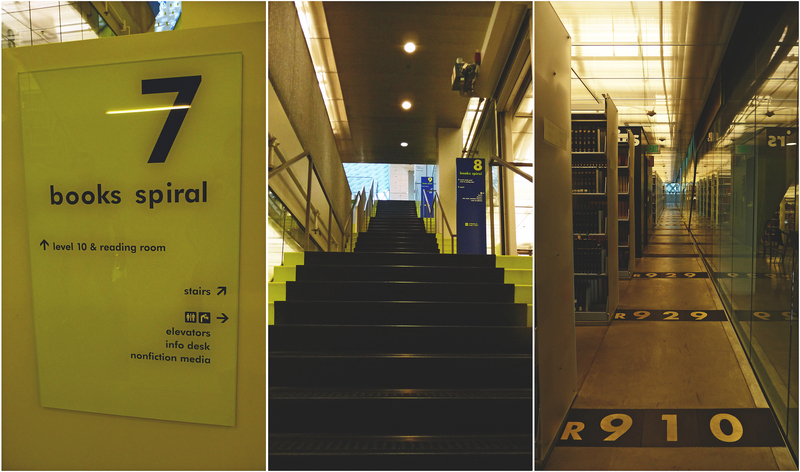 I finally found my way back to the third floor and decided to peruse what they have for fiction and summer reading. I found a table full of books with a joint theme of vampires and Abraham Lincoln. Then I realized it was in honor of the recently released movie — Abraham Lincoln: Vampire Hunter. I also found the area for teenagers, where they keep an extensive manga collection. A man perusing the fiction shelves. I looked at my watch, and it was almost time to head out. I headed one more floor down to the Children’s Library. I love visiting this fun and playful part of the library. It brings out the child in me as I walk through shorter book shelves with cute plush animals on top of them. Honestly, I also feel a bit of jealousy with the Seattle children because of how fortunate they are to have this awesome place and all the books available for them, which is a far cry from when I was a child in the Philippines. A favorite section of mine is the world languages; it’s where you can find books of children’s stories from all over the world. I still get a kick at finding the books in Tagalog. 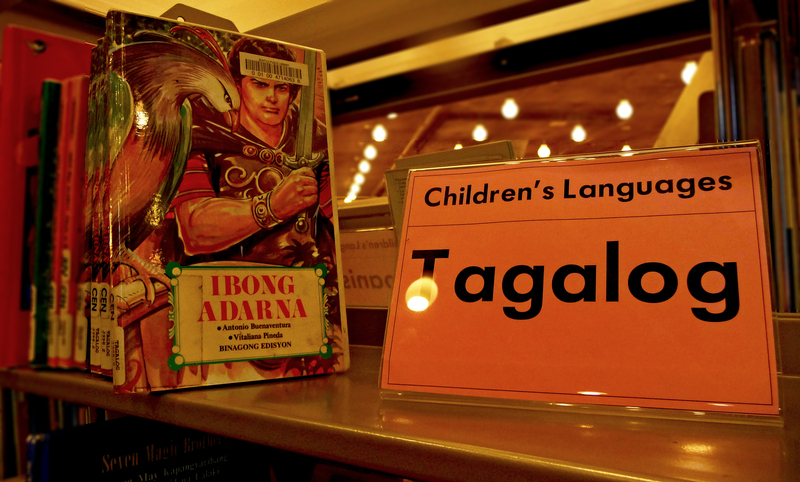 Ang Ibong Adarna: a classic Filipino folktale, which I read over and over as a kid. I love books, and I love to read and even when I’m traveling, I make it a point to stop by a local bookstore or library. 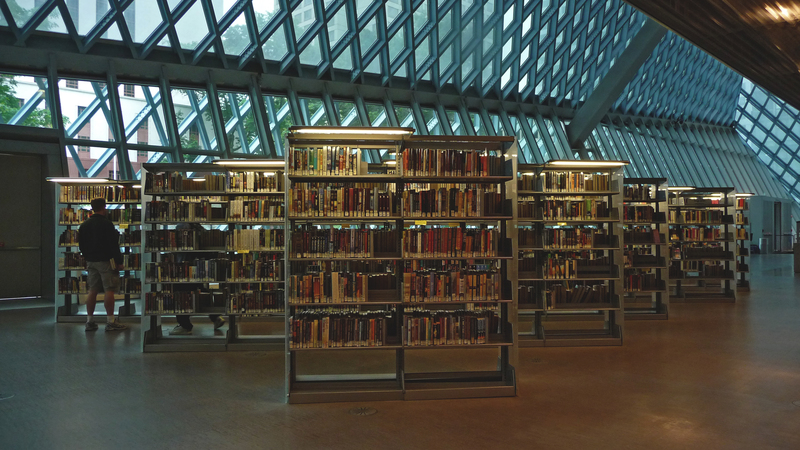 Whether you’re a bibliophile or an avid fan of architecture and you find yourself in Seattle, stop by our local library. It’s doesn’t cost anything to go in and they even offer free architectural tours. The lady I overheard on the street described it as unusual, and it is. But in my opinion, the oddity of its design and structure is what makes it a perfect representation of Seattle’s world class quirkiness and techie-hipster vibe.